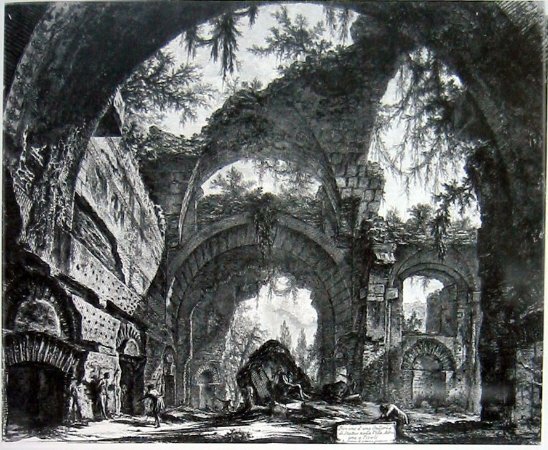 “The black brain of Piranesi” wrote Victor Hugo. 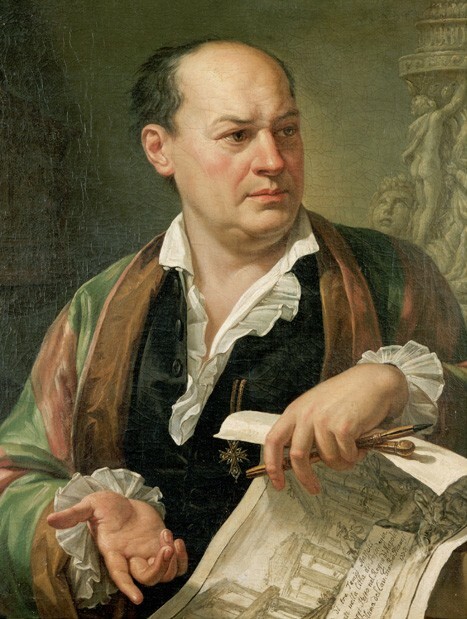 The works of the great engraver of the Eighteenth century and commentator of the tragic beauty of Rome can be seen at Palazzo Mosca, Municipal Museums (Musei Civici) in Pesaro until April, 8 2018. A time and space travel through the ancient Roman ruins, engraved by the artist who used to describe himself as “architectus venetianus (latin for Venetian architect)”, but it was when he moved to Rome that he was hit by romantic visions of the ancient temples and statues almost abandoned across the fields. Those ruins raised a Goethean feeling in him, i.e. the usefulness of keeping their memory. His works were extremely suggestive and romantic, it seems like they warn of a forthcoming danger, so that they appear even menacing, or disturbing. Among the ruins you can catch sight of cripple and horrible hunch-backed figures, that look like homeless or maybe their home is the stone and brick ruin; the right place for those beggars; some skulls and sarcophaguses, biting and delousing dogs, grazing sheep, rags on the bushes, finally what is left of an empire that used to rule the world. The scenery highlights the always-changing human condition, in which everyone – including the mighty people – accepts destiny. The feeling of decay applies also for the artist himself, his architect’s life always looking for a job, antique dealer and engraver, forced to change several jobs in a time where Rome was ruled by powerful popes, strong and with no way out. The message is dense in warnings; the metaphorical and turning circle on the background refers to everyone’s lives, even to mighty people. At Pesaro’s exhibition you can look at the works of the architect and man of Arts, some of them are people-oriented while others are located too high for a proper and careful viewing, and that is a real pity. It is well worth a visit, if only for the video about the famous “Imaginary Prisons” made by Gregoire Dupont for the Venetian Fondazione Giorgio Cini, where you are absorbed by his imaginary world that reminds of The Venetian Leads (Piombi is an ancient prison in Venice) and a Metastasian angst of the human condition. It’s like a nightmare you cannot get out of, an Inferno that never ends, the Judgement or the “Dies Irae (latin for The Last Judgement)” that would later become a leitmotif in Gothic novels. Losing yourself in those entrance halls, climbing the stairs, it seems like entering the holes of the brain of this artist who was worn out by struggles, but still passionate and unconcerned about his own health, his main dish was cold rise during the long stay in the malarial Roman countryside. 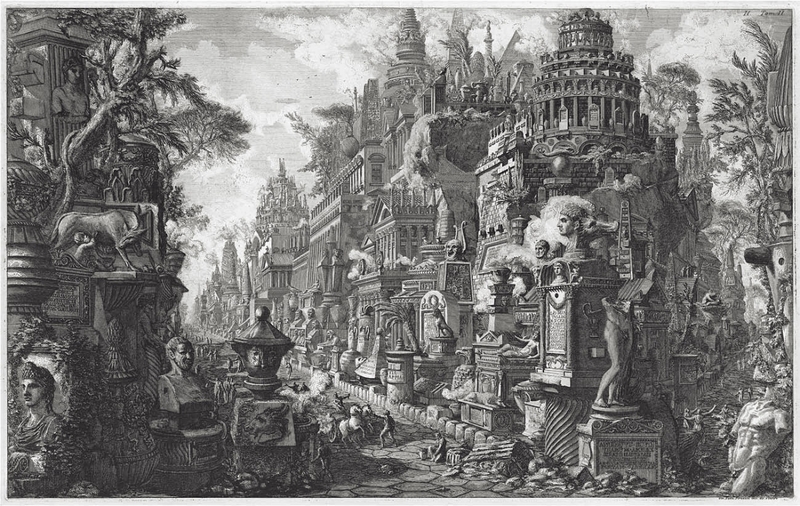 Piranesi’s genius shows in his expertise and educational talent, he used the lithographic technique to print hundreds of copies of his own drawings, engraved on zinc slabs, keeping intact their original beauty. 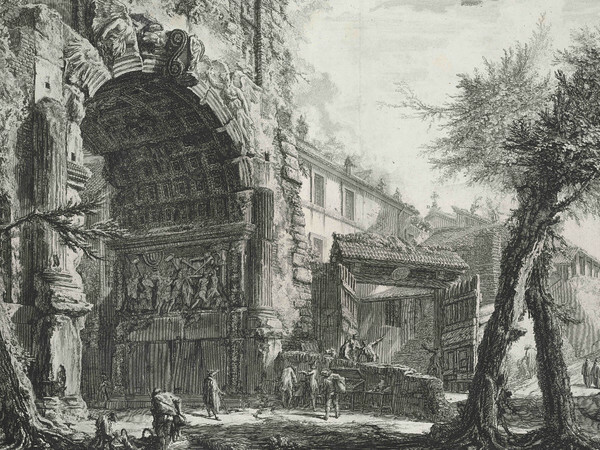 In this case, Piranesi’s art was modern and able to leave a “sign”, that is actually the precondition to immortality.